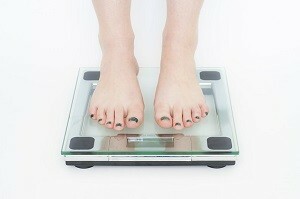 1) Are Obese People More Likely to Develop Heart Disease? Being overweight is not the same as being obese. 2) How Does Alcohol Affect Your Heart Health? We know that alcohol does affect your heart health, but what needs further explaining is that the effect can be either positive or negative. The difference depends on how much you drink. Drinking in excess negatively affects your heart and can lead to a disease of the heart muscle called cardiomyopathy, or an irregular heartbeat, a stroke and high blood pressure. Plus too much alcohol can lead to unhealthy eating decisions, which when teemed with the empty calories in alcohol leads to weight gain. Research has shown that people consume 20% more calories when they drink alcoholic beverages (even just one) before eating. When the calories from the alcohol were added in, it ended up being a 33% increase. Excess weight can lead to a whole host of health issues by itself, beside those caused by excessive drinking. And of course pregnant women should not drink at all. Drinking in excess can cause fetal alcohol syndrome (FAS) which has been proven to cause mental retardation, central nervous system damage, growth problems, head and face deformities and behavioral problems. Because physicians don’t know at what level alcohol causes FAS, they recommend abstaining from drinking at all while pregnant. 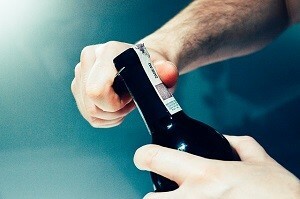 Any reason is good enough to open the bottle. Studies have shown that moderate alcohol consumption can actually reduce the risk of heart disease by 25%, which in part is caused by the increase in HDL cholesterol. Data from 84 other studies support these findings by concluding people that only had one alcoholic drink per day experienced a reduced risk of heart disease by 14-25%. The key to reaping the positive heart health benefits from drinking alcohol is moderation and controlling the number of calories consumed while drinking. 3) How Family History Affects Your Chances of Developing Heart Disease? If you have ever heard someone say “heart disease runs in my family”, you may have wondered if your ancestry is related to your heart health. Cardiomyopathy, high blood pressure, arrhythmia, stroke and even heart attacks can indeed be influenced by your genetic makeup and heredity. If your mother had a stroke or your father had a heart attack, even if your grandparents suffered from some type of heart disease, your risks of experiencing a problem with your heart are elevated. That’s because you are a product of those who came before you. 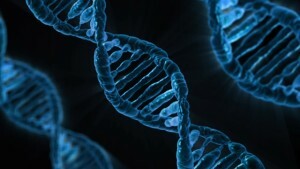 Your genes came from your parents’ genes, and they got many of their interior and exterior physical traits and abilities from their parents. You not only suffer a higher risk of heart disease. If your parents or grandparents had heart problems, you also run a greater chance of displaying risk factors. Unfortunately (or fortunately?) this link cannot be denied. We would never claim that heart conditions are a positive event in someone’s life. However, once you discover that others in your family that came before you suffered heart problems, you are armed with some very powerful information. This means that you can make the needed lifestyle changes to ensure that you never suffer from a painful, debilitating and possibly deadly heart disease. You can take the following steps to do exactly that. Precautions should be all the more important if there is a family history of heart diseases. 1 – Get up and get moving. Physical activity boosts healthy blood flow. When your blood is flowing properly, moving oxygen throughout your body, your heart does not have to work as hard. This means staying active helps contribute to a lower risk of heart disease. 2 – Keep your cholesterol level in a healthy place. High cholesterol can clog your arteries. This means your heart has to work harder to do its job, and you may suffer a stroke or heart attack because of it. 3 – Eat right. This means getting fewer fried, salty, sugary foods in your belly. You want to eat more raw foods, fruits and vegetables, whole foods and whole grains. Eat smart to protect your heart. 4 – Stop smoking and cut back on alcoholic drinks. A few adult beverages throughout the week might have little negative impact to your health. However, no number of cigarettes is recommended. Too much smoking and/or drinking ramps up the probability that you will contract some type of heart disease. 5 – Lose weight and your heart will feel great. Even being just a little overweight increases the pressure on your heart to circulate blood properly. If you become obese, your chances of developing heart disease grow greater still. 6 – Monitor your blood pressure frequently. High blood pressure is one of the leading risk factors for heart disease and stroke. 7 – Keep your blood sugar level in line. Much of the food that you consume turns into glucose, also known as blood sugar. If you maintain a high blood sugar level, you can damage your heart. Those 7 heart healthy tips should be practiced by everyone, regardless of age. If your ancestry reveals a history of heart problems in your family, the actions listed above are even more important if you want to keep heart disease at bay. 4) How Smoking Affects Your Heart? A smoker is at a six-time greater risk for heart disease than a non-smoker. Smoking accounts for 40% of first-time heart attacks. And if you have already had one heart attack, it significantly increases the risk of having future heart attacks. So how does smoking affect the body to cause these numbers? The chemicals in tobacco smoke harm your blood cells, can damage your heart and alter the structure and function of blood vessels. These changes over time increase the risk of developing heart disease. Surely you must acknowledge that smoking does more harm than good? Besides the increased risk of a heart attack immediately at the time of smoking, the constant additional cardiac stress caused by smoking is what significantly increases the risk of suffering a heart-related medical event, many of which are fatal. Smokers are at the greatest risk while smoking and up to 48 hours after. While that risk diminishes greatly if smoking is not continued, most smokers would have smoked several times during that 48-hour period, thus keeping their cardiovascular system under constant stress. • Heart Palpitations – if you keep noticing that for no reason your heart seems to beat too slowly or too fast. • Shortness of Breath – This happens when you suddenly are trying to catch your breath for no apparent reason. • Dizziness – Getting dizzy or easily fatigued on a regular basis could be an indication that your heart is having some problems. • Nausea – Experiencing nausea can be caused by a lot of things, but if you are feeling it for an extended period of time with no obvious reasons, then you may have to get yourself checked by your family doctor soon. These are the symptoms of heart disease that you need to take note of. The moment you experience even one of the mentioned symptoms, you should immediately set up an appointment with your doctor. 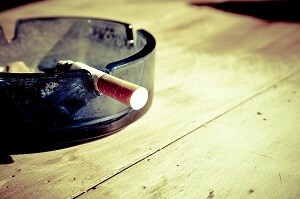 While the effects of long-term smoking cannot be fully reversed, quitting does have some immediate effects. 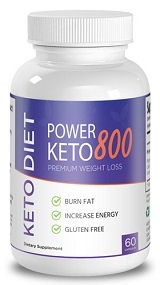 It instantly decreases the blood stream adrenaline level, blood pressure and clotting – all factors that can cause an immediate heart attack or stroke. Long-term, your body can lower its LDL and raise the HDL cholesterol levels. And while you can’t decrease plaque build-up in your blood vessels, at least you will not be adding more to what is already there. Besides quitting smoking, switching to a healthy diet low in saturated fat, salt and sugar, reducing the consumption of alcohol, exercising and losing weight are all lifestyle changes you can make that will significantly lower your risk of developing heart disease, or suffering a heart attack or stroke. 5) How Your Mental Health Can Affect Your Heart Health? That is often times because mental problems can lead to debilitating, dangerous and even deadly health conditions. Your mind and body are closely connected. One cannot prosper without the other being healthy. Heart conditions including stroke, and even heart attacks, can arise when your mind is not as healthy as it should be. Stress is also a mentally based issue directly connected to problems with your heart. Stress is a major health problem in so many ways. Your skin, all of your major organs, your digestive process, your immune system, your heart and so many other internal and external components and processes suffer when you are stressed out. If your mind perceives stress, real or imagined, the age-old “fight or flight” hormones which are released mean your blood pressure, blood sugar and heart rate are all affected. Your “jacked up”, stressed-out, wired and anxious mind tells your body it needs to protect itself. Faced with what it believes is a very real danger, hormones and chemicals flood your body and elevate your heart rate. Your blood pressure goes up instantly, along with your energy level, in response to this perceived threat. 6) How Are Heart Disease and Stroke Related? Heart disease and stroke are related in several ways. Probably the best way to understand the relationship between these two debilitating and dangerous conditions is to first define them. A stroke, also known as a cerebrovascular insult or CVI, occurs when blood does not flow to your brain properly. This results in the death of several of your brain cells. The effect is that different parts of your brain begin to function improperly, which sometimes results in the typical stroke symptom of lacking feeling on one side of your body. Cardiovascular disease or CVD, known by many as heart disease, is actually a group of diseases. They may affect either your blood vessels or your heart, and stroke, hypertension, atrial fibrillation and endocarditis are some common heart diseases. In the case of stroke, peripheral artery disease (PAD) and ischemic heart disease (IHD), atherosclerosis is involved at some level. Atherosclerosis is a fancy medical way of saying that your artery walls are becoming too thick. The thicker they get, the more restricted your blood flow, and this can lead to many of the heart diseases just mentioned, including stroke. Atherosclerosis is also referred to as arteriosclerotic vascular disease or ASVD, and is often caused by an accumulation of white blood cells. Atherosclerosis can be caused by any number of conditions or behaviors. If you suffer from a poor diet and nutrition, eating few fruits, vegetables and whole grains and a lot of processed, fatty foods, this could lead to obesity and high blood pressure. Those are 2 leading causes of atherosclerosis, which can contribute to stroke and heart disease. Doctors have also found that a very sedentary lifestyle accompanied by little exercise, smoking, high blood cholesterol, excessive alcohol consumption and diabetes can all lead to the thickening of your artery walls. The easiest way to lower your chances or even prevent the development of heart disease or experiencing a stroke is through proper diet and exercise. When you eat sensibly (less salt, sugar, fried and fast foods, more fruits, whole grains and vegetables), your body automatically takes care of itself. The same is true with exercise, which helps regulate a healthy blood flow and oxygen movement throughout your body. Those two preventive measures for stroke and heart disease also help boost your immune system. This means that your body is better prepared to fight all diseases and infections, not just those which attack your heart and blood flow. Especially if you have a history of heart problems in your family, start eating smart today. Exercise 3 to 5 times a week, standing and walking instead of sitting whenever you can. The benefits will be a longer, healthier life, and you may be able to avoid any type of heart condition altogether. 7) Is Your Blood Pressure Too High? How high is too high where your blood pressure is concerned? Is a blood pressure reading of 135 over 85 healthy, or a cause for alarm? What constitutes good numbers and bad? Are healthy blood pressure readings the same for young and old, male and female, active and sedentary individuals? And how frequently should you be checking your blood pressure anyway? Those are all great questions, which reflect a desire on your part to take control of your heart health. Basically put, if your blood pressure frequently tests at 140 over 90 week after week, you could suffer from high blood pressure (hypertension). And if either your top or bottom number is too high for an extended period of time, you may be a higher blood pressure candidate as well. Left untreated, this could lead to heart attack, stroke, heart and kidney diseases and even some forms of brain damage or dementia. Just remember that everyone is different. This is why you should have your blood pressure checked at least once a year if you enjoy a healthy level, and much more frequently if you know your numbers are out of line. A doctor or licensed health professional is the only one who can tell you for certain if you have a low or high blood pressure problem. But as long as you stay in the following guidelines, in most cases, your blood pressure level is probably fine. When your systolic (top number) is between around 90 and 120, you are right where you need to be. The same can be said if your diastolic (bottom number) blood pressure reading is between 60 and 80. Numbers below those indicate low blood pressure, and greater numbers than those are signs of possible high blood pressure problems. There are all kinds of individual issues and factors which can cause your personal blood pressure to spike or drop over the short and long-term. For quick reference, type the term “blood pressure chart” into your Internet search engine. There are plenty of free downloadable charts which allow you to quickly diagnose if your blood pressure is in a healthy or unhealthy range. Home blood pressure testing kits are readily available online and are budget friendly. In most modern countries around the world, pharmacies and even some supermarkets offer free blood pressure testing. The first step toward figuring out if your blood pressure is too high is to consult your doctor or health professional. High or low, 2 to 3 hours of moderately intense exercise each week, a diet rich in fruits and vegetables, drinking lots of water and getting plenty of rest can all help return your blood pressure to a healthy level.